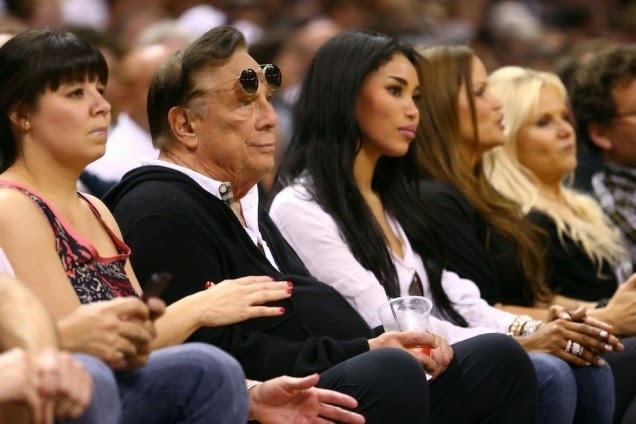 It would be nice if someone could tattoo this entire post on Donald Sterling's chest. Basketball is one thing about America that they love all over the world. It's one of our best ambassadors, that little thing in North Korea notwithstanding. None of this will go unnoticed or will be forgotten or forgiven all that soon. It's good that you give him the benefit of a slight doubt, but he's not going to come out of this without harm. Sponsors are running for their lives, players are protesting by wearing jersey's inside-out and this man is likely to find himself on the outside real soon. Certainly a man whose living depends not only on the talents and abilities of a lot of African Americans but on a fast-growing worldwide fan base that's not necessarily Caucasian either is not going to get away with it and sooner or later his 'peers' will catch on. I don't give this guy the benefit of ANY doubt. He is a racist, has not hidden it, has practiced it in his business dealings for years. The way this has played out has been ugly in a Jerry Springer sort of way, but Sterling deserves every last sanction, snub and fine. I personally am enjoying seeing a member of the 1% suffer some consequences for bad behavior... And I wonder why the NBA has been turning a blind eye to his racist antics up until now. If this kind of bizarre reality-tv episode is what it takes to bring one of these asshats down, I guess I'll take it.